Further to my post yesterday that broke the news that Bachmann are to produce an 00 scale ex London Brighton and South Coast Atlantic H2 Class 4-4-2 I can now provide some further details. The Atlantics were built to haul express trains between London and Brighton including the prestigious Pullman trains before completion of the electrification scheme on 1st January 1933. They were designed by D.E. Marsh, who had been deputy to the Chief Mechanical Engineer of the Great Northern Railway, H.A. Ivatt, for 10 years until he was promoted to the top job at Brighton in January 1905. Such was the urgency for express motive power on the Brighton line that Marsh, with the full support of his former chief, borrowed a set of Doncaster drawings and made a few amendments. The result was five H1 Class locomotives which were built by Kitson’s of Leeds between December 1905 and February 1906. The second batch (Class H2) although to Marsh design was modified by his deputy L. Billinton. Billinton was Acting Chief Mechanical Engineer due to Marsh being absent on extended sick leave. In 1912 Billinton took over permanently when Marsh resigned, holding the position until Grouping in 1923. 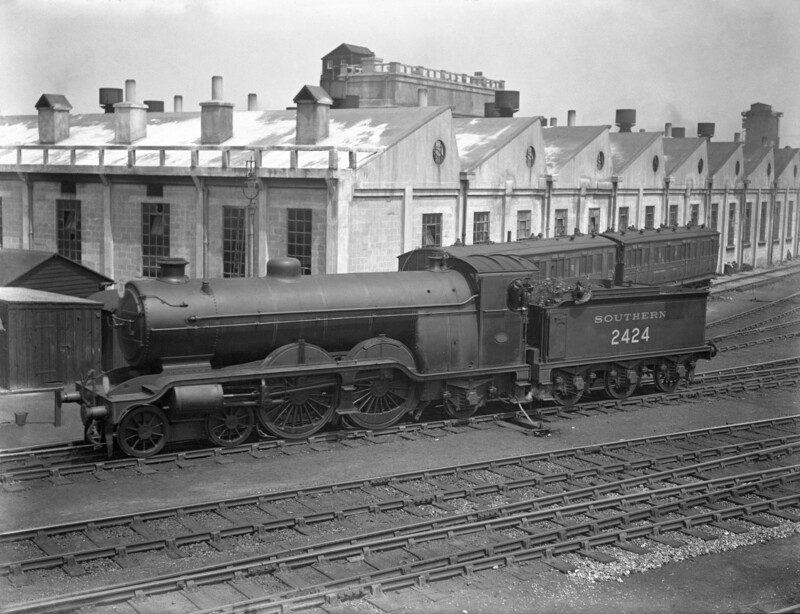 Six H2 Class locomotives were built at Brighton Works and remained on front line Brighton express work until the arrival of the King Arthur Class 4-6-0s in 1925. They were named after geographical features on the South Coast. The Atlantics then continued to operate other express trains and also boat trains to the ferries at Newhaven (for Dieppe, France) until the outbreak of World War 2 in 1939 brought the duties to a premature end. The class continued to work secondary services after the war but there was less work for them and some were put into store. The first H2 Class withdrawal was No. 32423 ‘The Needles’ which took place in May 1949. The last to survive was No. 32424 ‘Beachy Head’ which was scrapped at Eastleigh following withdrawal on 24th April 1958. Models will incorporate a DCC socket. Prices will be advised in due course. David Haarhaus, Bachmann’s European Sales & Marketing Manager said “We believe that the H2 Class locomotive will be popular with modellers and the emergence of the replica at Sheffield Park over the coming years will introduce the class to new generations of railway enthusiasts and modellers. We are working closely with the Bluebell Railway Atlantic Group and thank them for assisting us with this project”. Sadly railway preservation was still in its infancy and ‘Beachy Head’ was scrapped before the formation of the Bluebell Railway in March 1959. 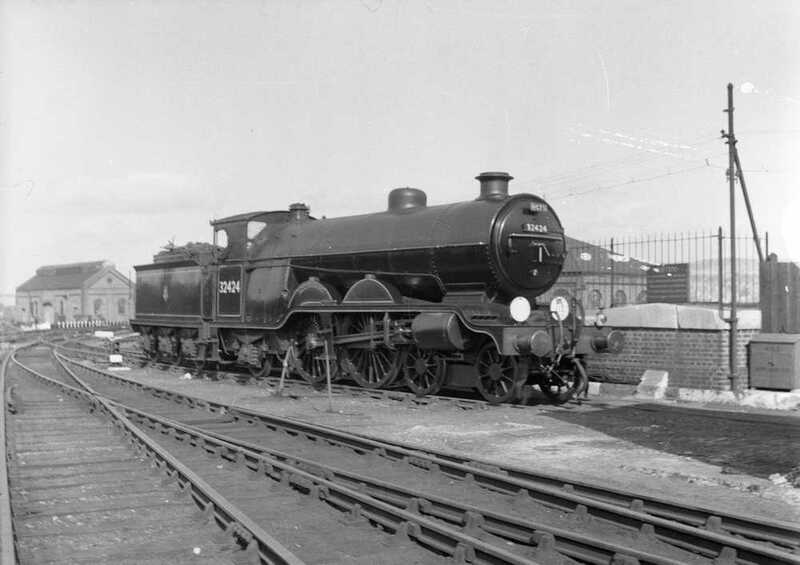 This locomotive had worked part of the Locomotive Club of Great Britain Southern Counties Limited Rail tour on 24th February 1957 from Horsted Keynes to Brighton. Beachy Head replica is taking shape at the Bluebell Railway. The driving wheels will be added soon. In 2000, the Bluebell Railway Atlantic Group was formed to build a replica of ‘Beachy Head’ for use on the extended Bluebell Railway between Sheffield Park and East Grinstead. 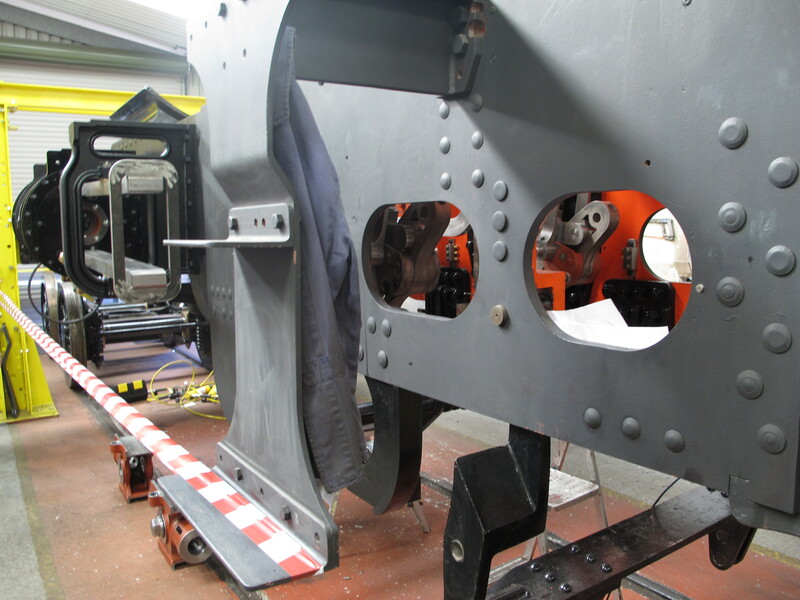 Since then the group has acquired many parts including a GNR ‘Atlantic’ boiler, tender frames and wheel sets. Other items are being manufactured and the project has now reached an advanced stage. I had the privilege to view progress on the build yesterday during a tour of f Atlantic House. The frames are now assembled cylinders, slide bars, inside motion and the start of the cab metalwork in place, the cross heads and sandboxes are ready to be installed along with some brake linkages. She will soon be ready for the finished cast and machined driving wheels to be fitted (the pony truck is also already complete). The ex GNR boiler is also substantially complete and awaiting tubing before the smokebox can be finished. I look forward to completion of the this project in maybe as little as 4 to 5 years. If you would like to assist with this project you can sponsor a component here.